The work of filmmaker, artist and graphic novelist Sarnath Banerjee explores the contradictions of daily life in contemporary India. Often taking the form of humorous collages or nonlinear narratives, the work of filmmaker, artist and graphic novelist Sarnath Banerjee explores the contradictions of daily life in contemporary India. Many of his graphic novels have autobiographical elements. 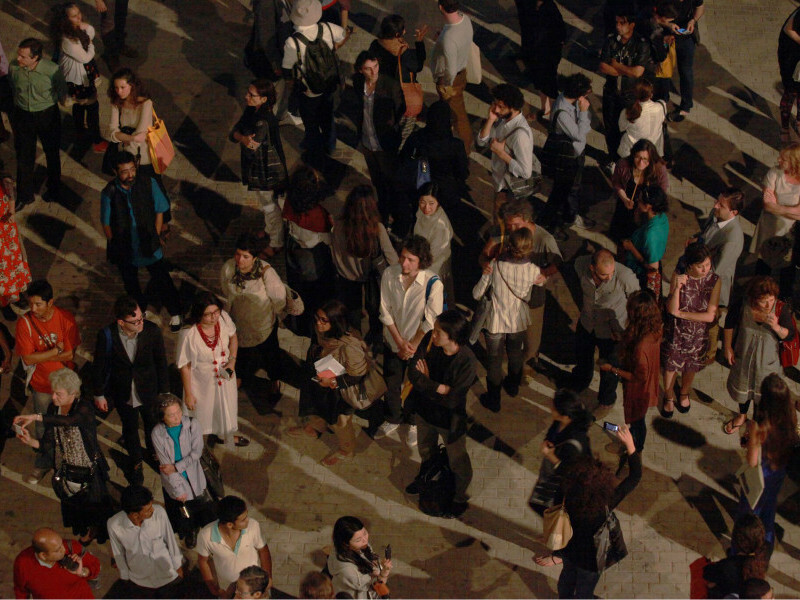 Banerjee has worked on commissions for Deutsche Bank, London (2017) and a public arts project for Frieze Projects East during the London Olympics (2012). 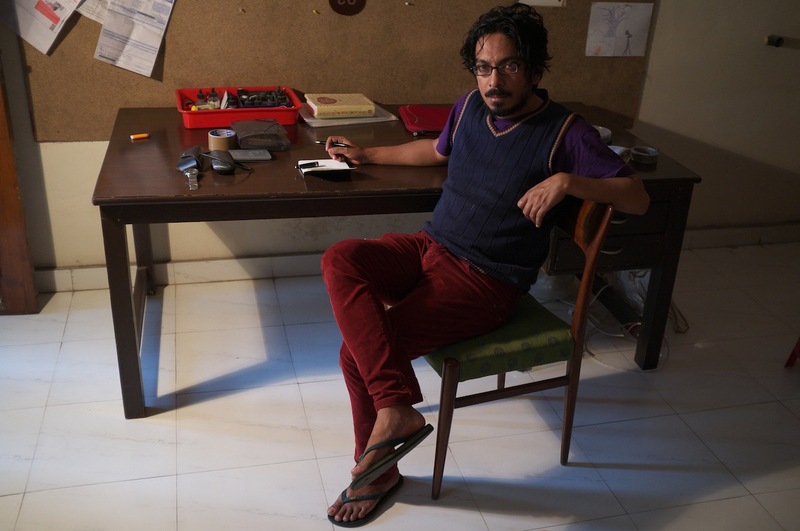 His work was the subject of a solo exhibition at the Centre for Contemporary Arts, Glasgow (2012) and has also been featured in group exhibitions at Sharjah Biennial 13 (2017); Pune Biennale, India (2017); Kunsthalle Zurich (2017); Setouchi Triennale, Japan (2016); Kochi-Muziris Biennale, India (2016); Italian Cultural Institute, New Delhi (2016); Hong Kong Art Fair (2012); MAXXI-National Museum of XXI Century Art, Rome (2011); Centre Georges Pompidou, Paris (2011); FIAC, Paris (2011); Frieze Art Fair, London (2009, 2011); ARCOmadrid (2009); São Paolo Biennale (2008); Mori Art Museum, Tokyo (2008); Karton Gallery, Budapest (2007), Kunstmuseum Bern (2007); Museum Fondazione Sandretto Re Rebaudengo, Torino, Italy (2006); IFA Gallery, Berlin (2005) and Institute of Contemporary Arts, London (2003). He has written the graphic novels All Quiet in Vikaspuri (2016), The Harappa Files (2011), Barn Owl’s Wondrous Capers (2007) and Corridor (2004). Banerjee also wrote a weekly column of visual commentary called Enchanted Geography for the magazine The Hindu. He is the co-founder of the publishing house Phantomville, which published comics and graphic novels from 2006 to 2008. Banerjee holds a bachelor’s degree in biochemistry from the University of Delhi and a master’s in Image and Communication from Goldsmiths, University of London. He has received grants from the MacArthur Foundation, Charles Wallace India Trust Scholarship, Egide Bursary and India Foundation for the Arts. He has also been a fellow at the Akademie Schloss Solitude, Stuttgart and Institute of Advanced Studies, Budapest. Born in Kolkata in 1972, he currently lives and works in Berlin.